Prosciutto is an Italian ham and it is a dry cured ham that is usually sliced thinly and served uncooked. 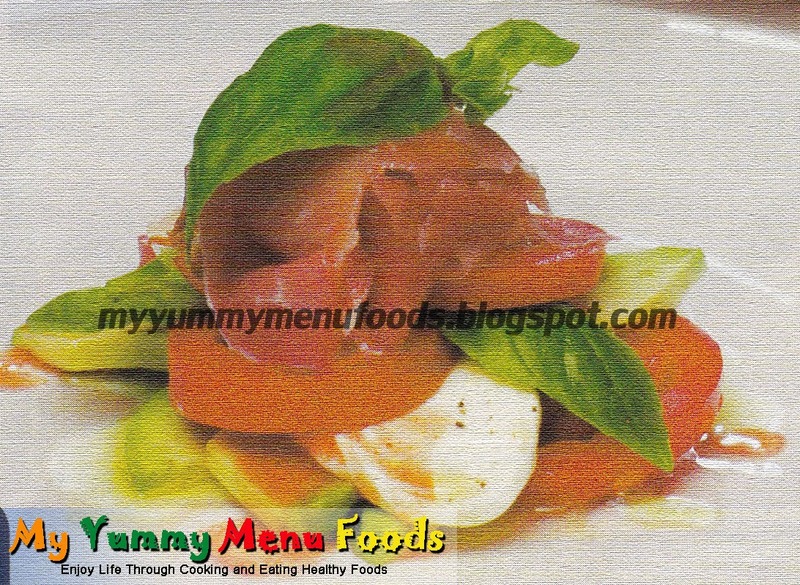 Try this mozzarella and prosciutto salad combined with fresh tomatoes, avocado, lemon juice, and mozzarella balls. Nutritious and tasty recipe for your family. 1. Slice the avocado and add the lemon juice with the Tabasco sauce. 2. Arrange the tomato, mozzarella, avocado, and basil on a plate and top with prosciutto. 3. Drizzle with olive oil, more Tabasco sauce and season with salt and pepper.